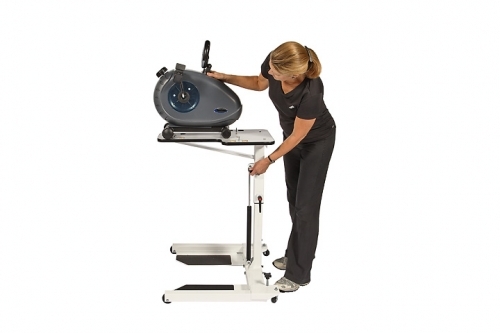 HCI UBE Rehab Trainer Table is suitable for home or hospital use. 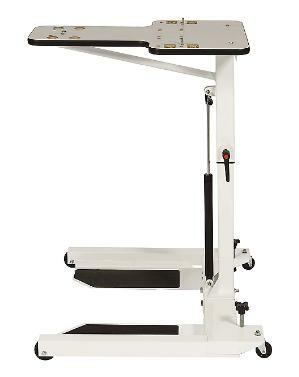 HCI UBE Rehab Trainer Table specifications: Welded heavy-gauge steel construction • Floor area "footprint" 30-1/2"W x 27"L • Ship wt. 70 lbs. • Net wt. 55 lbs. 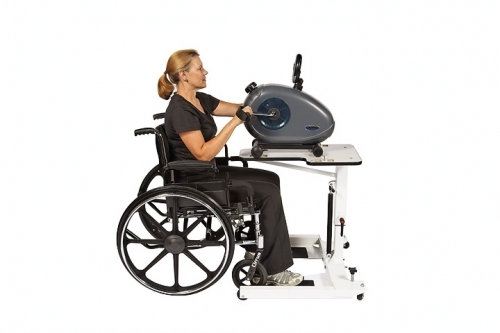 HCI UBE Rehab Trainer Table is height adjustable (24" to 34") with an air spring assist. Firmly anchors Monark Trainer to tabletop with three metal brackets and easily detaches for leg exercise. Secures to the floor with two screw-down stabilizers and fold-down floor plates. T-shaped tabletop design, vertical support, and low-profile table base let wheelchairs get in close. Four heavy-duty casters. • Easy- Lift one touch height adjustment. • tabletop from 27” to 37” easily. • for the most strenuous workouts. • move the table when needed. • prevents corrosion and rust. 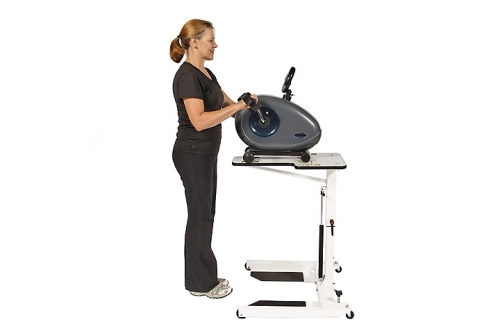 Order your HCI UBE Rehab Trainer Table from FitnessZone.com today!